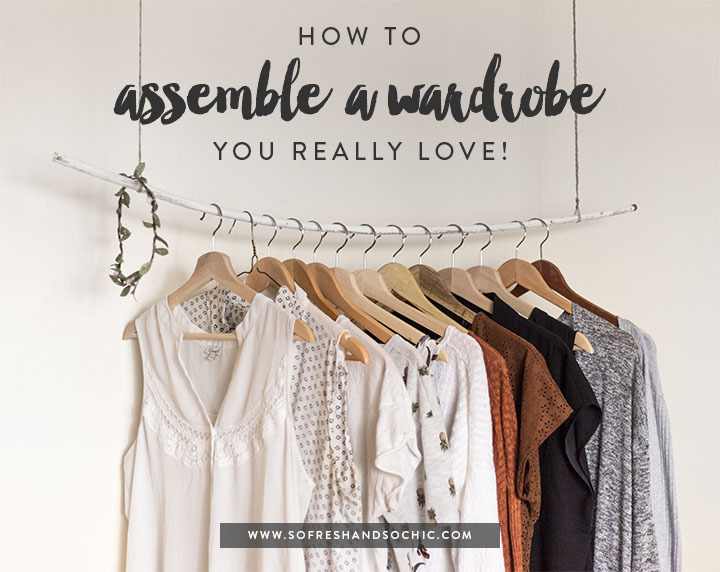 How to Assemble a Wardrobe You Really Love! Hands up how many of you have clothes you haven’t worn in at least a year? I know my closet was filled to bursting. The biggest culprit were clothes I was holding on to for when I lose those last 10 (or 15 or 20) post-baby lbs. *Insert massive eye roll. * It had to stop because I was legit afraid of opening my closet doors! How to assemble a wardrobe you really love: What I learned from my own experience making over my closet. I started by giving away everything I didn’t love and that didn’t fit well. My new strategy was simple: look for clothes in the size I am now and only buy pieces I really love and, therefore, will wear. My other aim was to acquire items that are timeless in appeal so I can wear them year-round instead of very trendy items which would probably only last me a couple of months at most. Sounds good, right? So how did I do it? By discovering what “timeless” meant to me, which was a two step process. First, I reviewed the remaining pieces in my closet to establish the items that I already had, loved, and could continue using. This also made it easier to see what needed replacing. And, second, I turned to friends whose style I admire and asked for their advice. With their help, I created my own personal “must-have” wardrobe list. 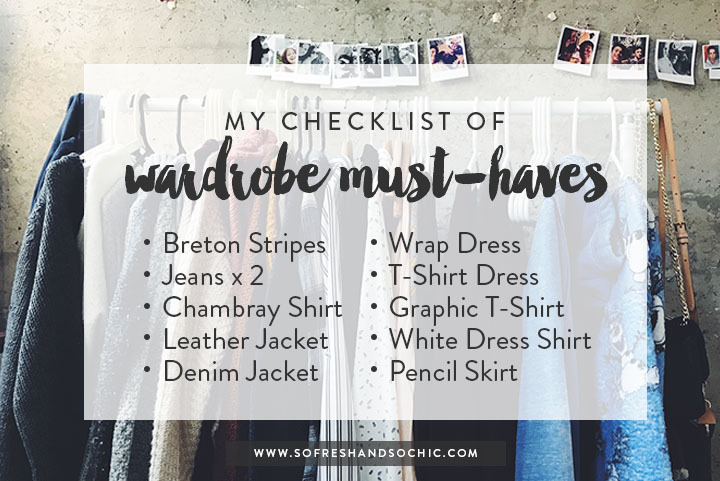 My checklist of wardrobe must-haves includes: Breton stripes, at least two pairs of jeans that fit well, a versatile chambray shirt, and a vegan leather jacket for cooler nights. Add to that powerhouse items like a denim jacket, a wrap dress, and a few casual tops and T’s and I had what I needed to bring my mom uniform up to date. 1. Measure yourself before you order a size. I know this sounds like common sense but it’s really so helpful. Brands may have different sizing “standards” but reviewing their size chart in actual inches should help you choose the right size and avoid disappointment when the package arrives! 2. Use the “Live Chat” feature to ask if there are any sales or offers (in case it isn’t obvious from the website already!). Customer service has come a long way in this social media driven world and most companies will happily extend some kind of discount if you ask politely. And if not, well, you didn’t lose anything but a few minutes of your time, right? 3. Read the reviews. Always, always, always. 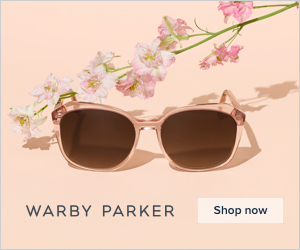 Reviews are how you can find out more details on an item’s quality, fit, and value. People generally write reviews if they love or dislike something (vs. those who think something was just okay) so it really is worth your while to go through and hear from other shoppers. All of my new purchases from J. Crew were made solely based on reviewers opinions, and guess what, I love them too! 4. Take your time. After browsing multiple stores online, I narrowed my shopping down to a handful: J. Crew, Gap, Banana Republic, WhoWhatWear at Target, and ASOS. It took me a few hours and a couple of days to make my selections before I pulled the trigger. I wanted to wait and think over what I had added to my cart to be sure I really wanted those items. All of that later, here are some of the pieces I purchased and some that are still on my wish list. 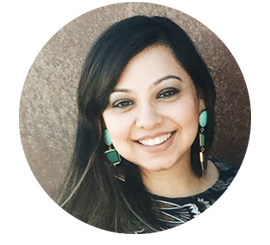 I hope they inspire you to makeover your own closet! I would love to know if you found this post helpful and if it will help you assemble a wardrobe you really love, so before you go, would you please leave me a comment below and let me know?